Jim has been a meteorologist since 1968 and is still thoroughly fascinated by all things weather. He was one of the founding directors of Weatherquest in 2001. 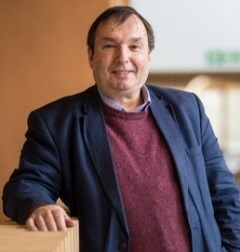 His career started in East Anglia on RAF stations in 1968 and then moved to Bracknell as a programmer on the Met Office supercomputer for a few years. After a return to aviation forecasting including a spell at Stansted Airport, he then went on to gain a degree in Meteorology at Reading University before being posted to London Weather Centre, where he became a senior forecaster. This work involved forecasting for the offshore industry and media forecasting for national radio and television in the days of the magnetic (some not so) symbols.